Oh my yummmm! 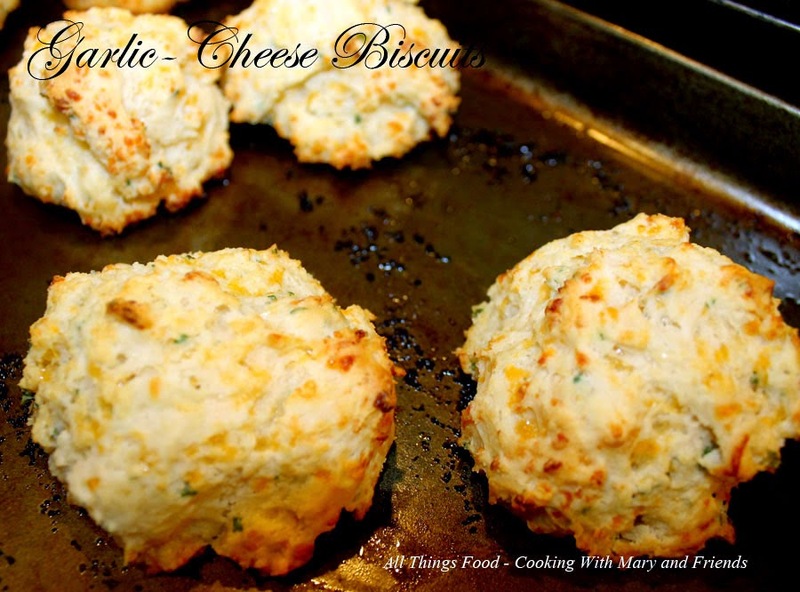 Who doesn't like Garlic-Cheese Biscuits, just like those at Red Lobster? 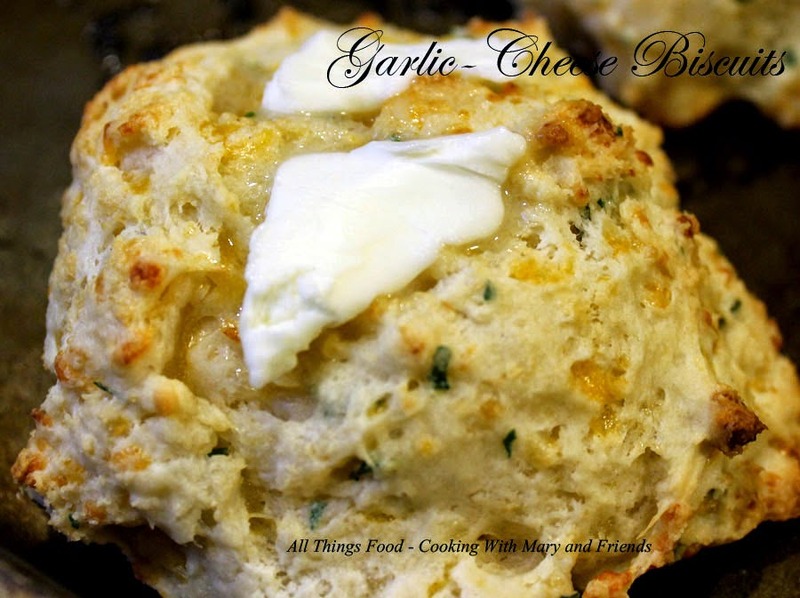 I've been making these for years, and they are always a huge hit here. Super-simple to make, they taste yummy and go well with almost anything. I have friends asking me to "save them some" every time I make them. In a large bowl, mix baking mix, garlic powder, parsley flakes, milk and shredded cheedar cheese together. Drop by rounded spoonfuls on lightly greased baking sheet. 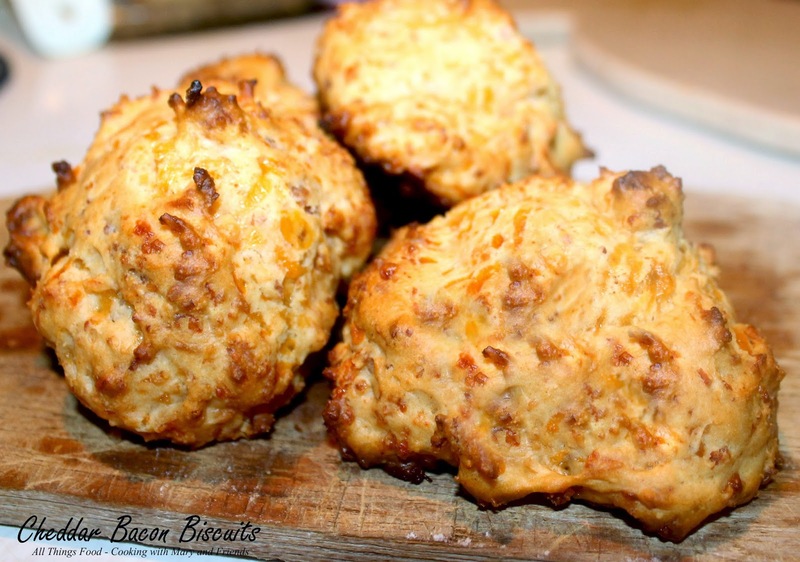 Brush biscuits with melted butter and sprinkle with additional garlic powder. Bake in 425 oven for 10 minutes. 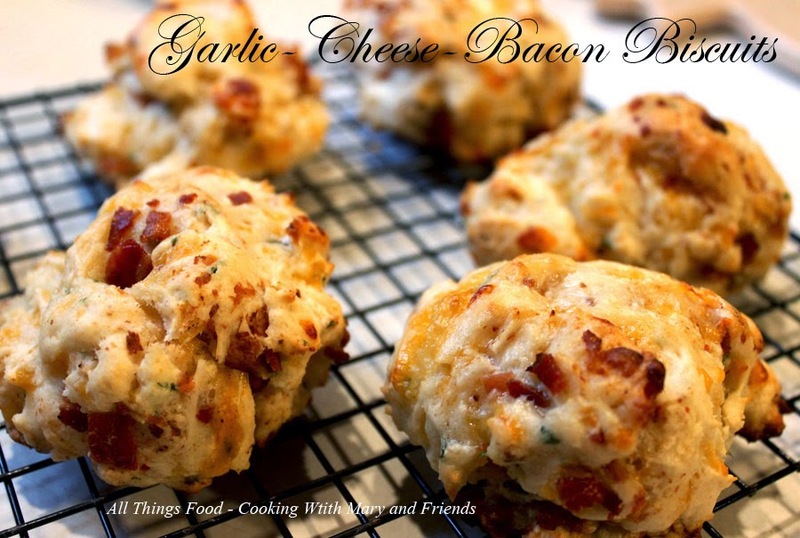 **Option** - add 4 pieces cooked and crumbled bacon to the mixture for a great tasty twist!